Leaving from the port of Carloforte and going northwards, you arrive in the locality Taccarossa, one of the most picturesque of San Pietro, characterized by natural architectures of dark rock wrapped in lush vegetation that act as a counterpoint to a crystal clear sea with iridescent emerald blue shades. 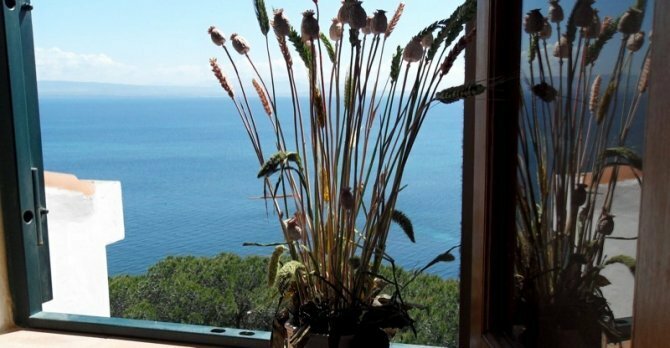 Immersed in the green of the Mediterranean maquis and leant out towards the sea, the B&B Ippocampo is located in an enviable position from which it is possible to enjoy the wonderful panorama of the northern coastal slope that extends from Punta Nord to the village and to the remote Mediterranean horizon that fades into the southern coast of Sardinia. 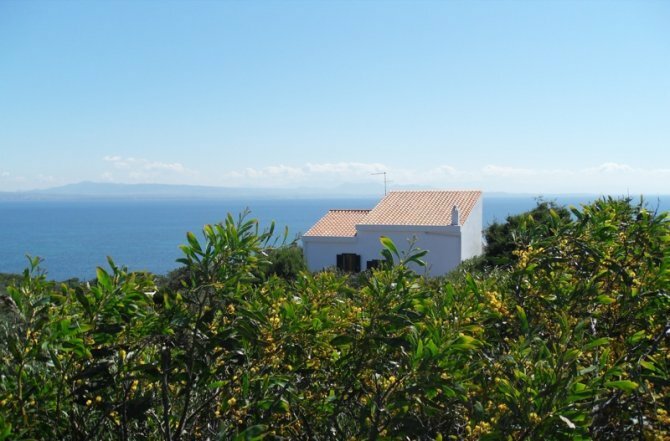 Particularly valuable the terraces that overlook a lush pine forest and the sea, from which it is possible to see a panorama of extraordinary beauty. On foot you can reach the small beach of "Canta Gallina", a quiet cove with crystal clear water ideal for relaxation. 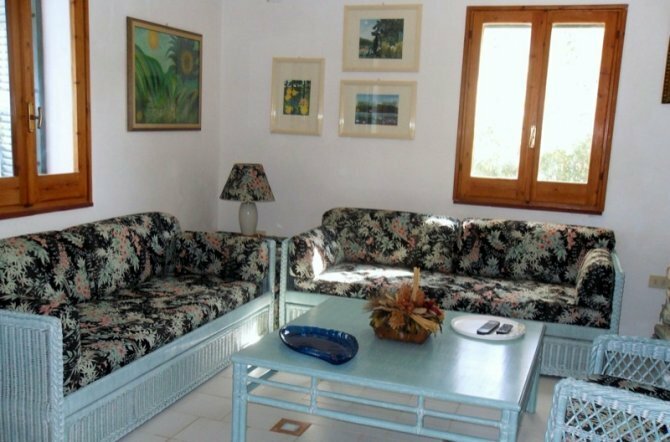 The panoramic position, along with a warm and friendly atmosphere make the B&B Ippocampo an ideal starting point for a dream holiday in the island of San Pietro. The house, built in typical tabarkino style, develops on three levels, all communicating with each other through the two splendid terraces, and has wide common areas furnished to provide the guests all the comforts and conveniences to spend pleasant moments in relaxation for the whole duration of the stay: from the bright room furnished with comfortable light blue rattan sofas, ideal for reading and relaxing, to the two large terraces overlooking the sea. You can sunbathe lying in the confortable lounge chairs, or chat with friends in bamboo sofas repaired by the shade of the terrace, enjoying in all comfort the beautiful natural landscapes. Breakfast will be served in the proper areas of the property and prepared in convenient trays to allow guests to eat it comfortably sitting in the shade of the beautiful terraces. In this way it will be possible to taste a rich Mediterranean breakfast and to enjoy at the same time the spectacular natural scenery. 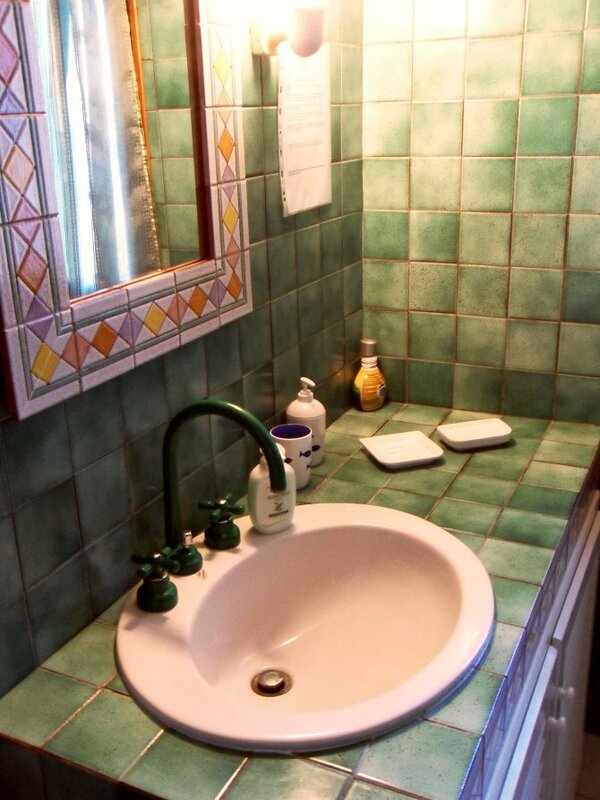 The two bathrooms, one of which equipped with shower, are all shared, but given the small number of rooms and the cleaning, that is made at least once a day, it will be like having a private bathroom. 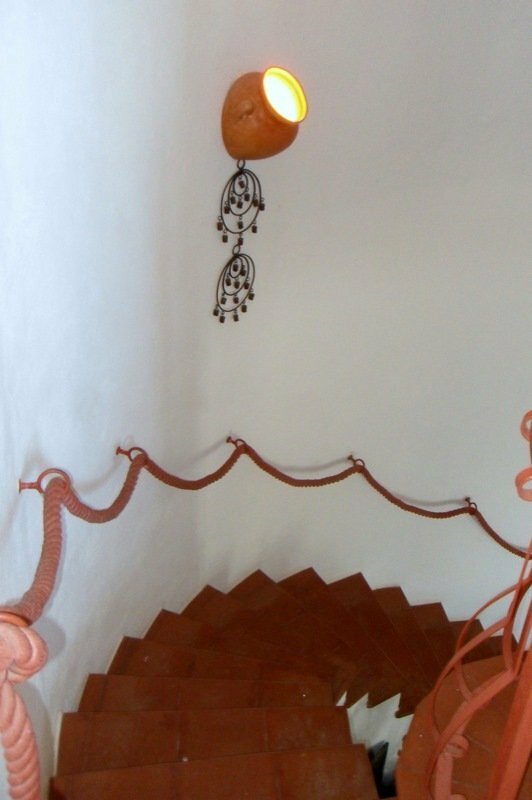 The bathrooms, in harmony with the building, have been realized with quality materials and the hand-painted tiles recall once again the nuances of the Mediterranean tradition. Also available an outdoor shower for people returning from the beach. The rooms, furnished with beautiful sober and exclusive rattan furniture with pastel color shades, are located on the first level of the property. 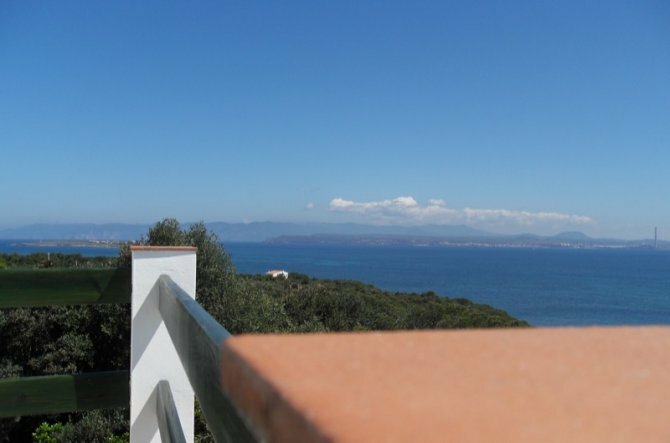 From the bright windows overlooking the sea and the pine forest, it will be possible to enjoy a breathtaking view of the south-western coast of Sardinia, and to admire every morning the sunrise over the sea. Spoken languages: Italian, English, Spanish. Opening season: 1 May - 30 October. 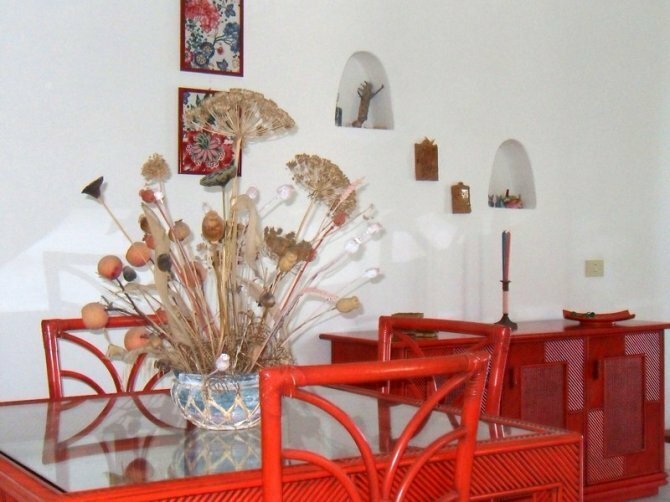 B&B Ippocampo is located in Località Taccarossa, about 2.5 km from the typical small town of Carloforte on San Pietro island. 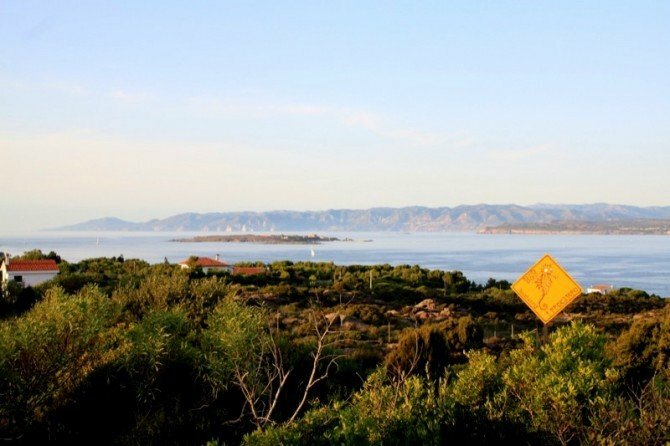 Situated along the south west coast, the small town is 70 km from Cagliari. From the airport of Cagliari-Elmas: take the 130 SS in the direction of Calasetta or Portoscuso where you’ll be able to take the ferry boat to Carloforte. 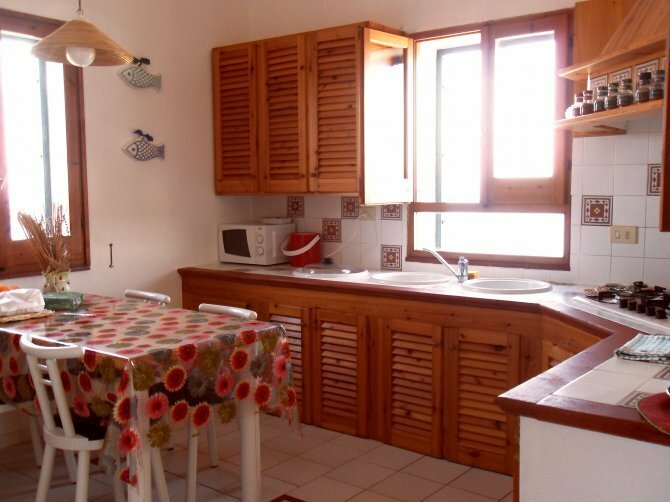 This property requires minimum stays of 4 nights in August. - Room cleaning and towels/linen change: room cleaning and change of linen and towels are provided for each guest change; every 4 nights for longer stays. - Pets: small pets admitted only on request (not admitted in August).